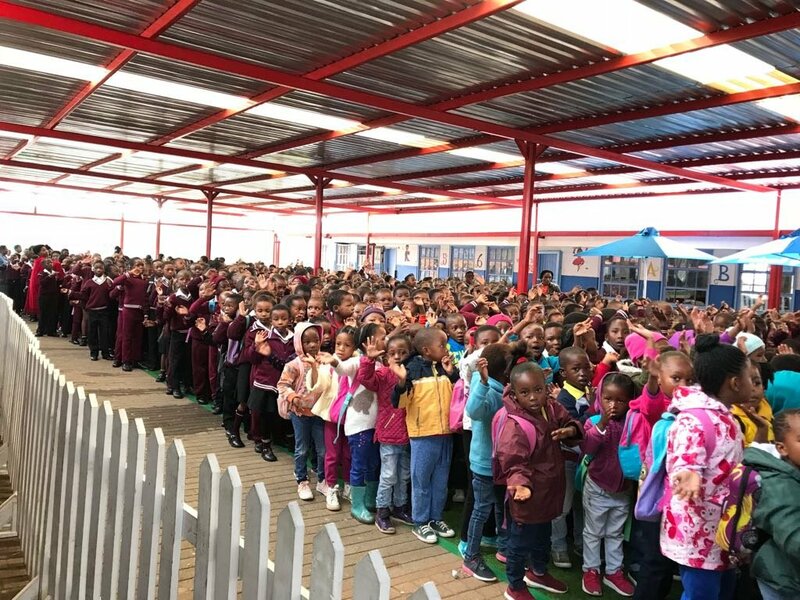 It was indeed an inspiring morning at Malerato Primary School in Randfontein. 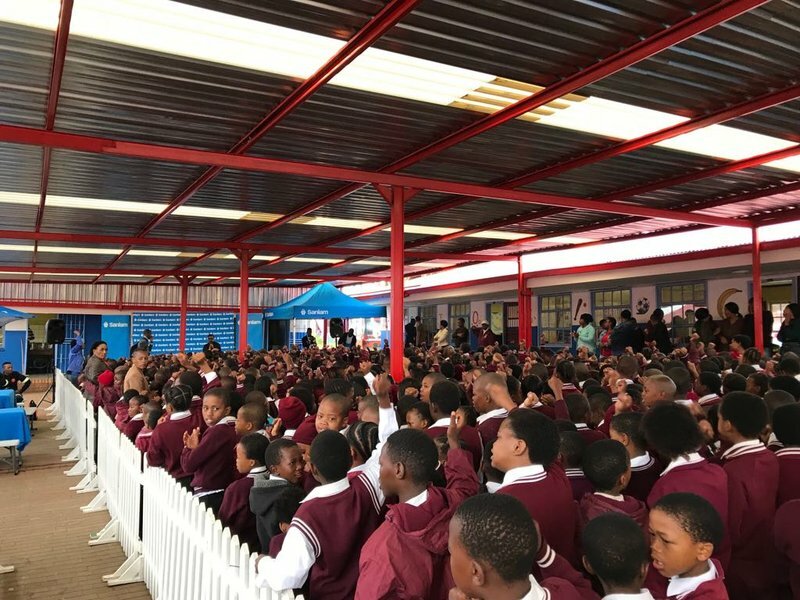 Sanlam has partnered with 75 schools across the country to improve maths tuition, nutrition and upgrade key facilities. This morning Breakfast with Martin Bester and the team joined learners at Malerato Primary School in Randfontein to give these learners a head start on a brighter future with the Blue Ladder Project. 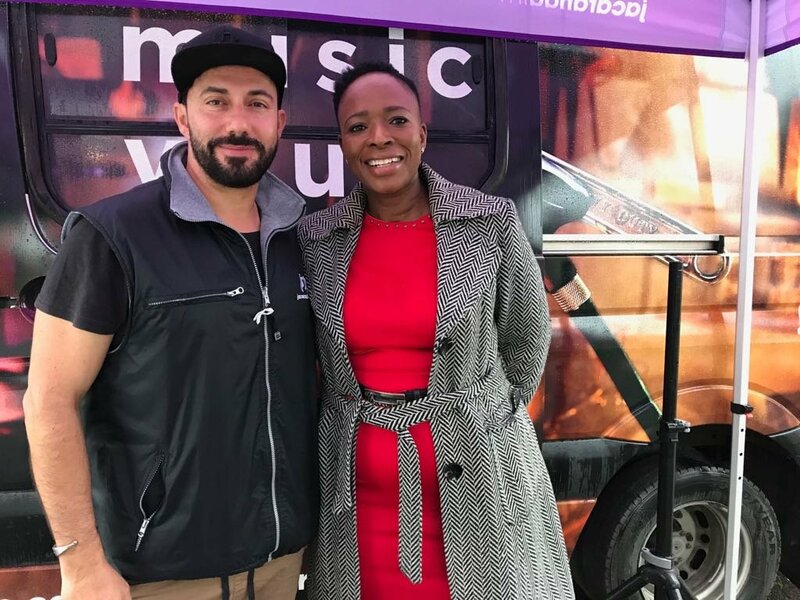 Sanlam’s Regional General manager Queen Kganyago joined Martin Bester to speak about the ‘Shop For Good’, an initiative which allows the general public to contribute towards the improvement of the Blue Ladder Schools. And of course the children were entertained by Takalani Sesame characters!